The M.S.406 was a French Arm�e de l'Air fighter aircraft built by Morane-Saulnier starting in 1938. 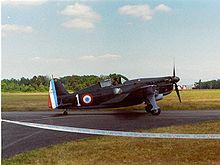 Numerically it was France's most important fighter during the opening stages of World War II. Although sturdy and highly maneuverable, it was under-powered, weakly-armed and lacked full armour protection when compared to its contemporaries. Most critically, it was out-performed by the Messerschmitt Bf 109E during the Battle of France. The M.S.406 held its own in the early stages of the war (the so-called Phoney War), but when the war restarted in earnest in 1940, 387 were lost in combat or on the ground (for various reasons) for 183 kills in return. The type was more successful in the hands of Finnish and Swiss air forces who developed indigenous models. In 1934, the Service Technique A�ronautique (Aeronautical Technical Service) of the Arm�e de l'Air issued a requirement for a new and completely modern single-seat fighter (referred to as a C1 design), with a monoplane layout and retracting landing gear. Morane-Saulnier's response was the M.S.405, a low-wing monoplane of mixed construction, with fabric-covered wooden tail, but a bonded metal/wood material (Plymax) skin fixed to duralumin tubing. Plymax consisted of a thin sheet of duralumin bonded to a thicker sheet of plywood. Morane-Saulnier had a long history of producing warplanes dating back to pre-World War I years but in the inter-war period, they had concentrated on civil designs. The aircraft was a departure for them, being their first low-wing monoplane, first aircraft with an enclosed cockpit, and their first design with retracting landing gear. Prior to this, their most modern designs were fixed-gear parasol monoplanes. The new 860 hp (641 kW) Hispano-Suiza HS 12Y-grs engine driving a two-pitch Chauvix�re propeller powered the first M.S406-1 prototype, which flew on 8 August 1935. Development was very slow, and the second M.S.406-2 prototype with a 900 hp (671 kW) HS 12Y-crs engine didn't fly until 20 January 1937, almost a year and a half later. With the new engine the fighter reached 275 mph (443 km/h), fast enough to secure an order for a further 16 pre-production prototypes, each including improvements on the previous version. The result of these changes was the M.S.406. The two main changes were the inclusion of a new wing structure which saved weight, and a retractable radiator under the fuselage. Powered by the production 860 hp (641 kW) HS 12Y-31 engine, the new design was over 5 mph (8 km/h) faster than the 405, at 304 mph (489 km/h). Armament consisted of a 20 mm Hispano-Suiza HS.9 or 404 cannon with 60 rounds in the V of the engine and fired through the propeller hub, and two 7.5mm MAC 1934 machine guns (one in each wing, each with 300 rounds). A weakness of the MAC 1934 was its operation at high altitudes. It was found that at altitudes over 20,000 ft, the guns had a tendency to freeze up. Heaters were added to the guns for high altitude use. While the 406s were entering service in 1939, an upgrade series was started to improve the design. The result was the M.S.410, which included a stronger wing, simpler fixed radiator in place of the earlier retractable design, four belt-fed MAC guns in place of the earlier two drum-fed weapons, and exhaust ejectors for additional thrust. The added thrust boosted the top speed to 316 mph (509 km/h), an improvement of about 10 mph (16 km/h) over the 406. Production had just started when France fell, and only five examples had been completed. Production was allowed to continue under German supervision, converting earlier 406s to the 410 standard, but many of these received only the new wings. A single example of the M.S.411 was constructed by converting the 12th aircraft of the pre-production line with the 406 wing and the 1,000 hp (746 kW) HS 12Y-45 engine. A later modification was started as the M.S.412 with the 1,050 hp (783 kW) HS 12Y-51 engine, but this was not completed by the time the war ended. In 1939, Hispano started prototype deliveries of the new Hispano-Suiza 12Z engine of 1,300 hp (969 kW). One was fitted to a modified 410 to create the M.S.450, giving dramatic improvements in performance, especially at altitude. However the engine did not enter production before France fell, and the similarly modified Dewoitine D.520 (the D.523/D.551) was considered a better design for the engine anyway. The M.S.406 airframe was also used in a number of other projects. The M.S.430 was a two-seat trainer built by inserting a "plug" in the central fuselage with an extra cockpit for the trainee pilot, and using the much less powerful 390 hp (291 kW) Salmson 9 radial engine. The M.S.435 was a more powerful version with the 550 hp (410 kW) Gnome-Rhx�ne 9K engine. In 1938, Switzerland licensed the M.S.406 for local production as the D-3800. Two of the pre-production M.S.405 samples were completed as M.S.406H and sent to them as pattern aircraft in late 1938 and early 1939. These examples had the earlier wing design of the 406, but were powered by the newer 12Y-31 engines as used by the MS.406. Pre-production started with a run of eight aircraft from EKW with engines built by Adolph Saurer AG driving a new Escher-Wyss EW-V3 fully-adjustable propeller. Instruments were replaced with Swiss versions and the drum-fed MAC machine guns with locally-designed and built belt-fed guns, so eliminating the wing-bulges of the French version, and avoiding the freezing problems encountered by French guns. The first of these aircraft was completed in November 1939. The pre-production models were then followed with an order for a further 74 examples, which were all delivered by 29 August 1940. In 1942, a further two were assembled with spares originally set aside for the original production run. During 1944, surviving aircraft were modified with new cooling and hydraulic installations, and were fitted with ejector exhausts. These modifications were the same standard as the D-3801 series, making them identical with the exception of the engine installation. At the end of the war the remaining aircraft were used as trainers, until the last one was scrapped in 1954. The Swiss continued development of the MS.412 when French involvement stopped following the June 1940 Armistice. The Dornier-Altenrhein factory completed a prototype powered with a licenced-produced HS-51 12Y engine, generating 1,060 hp (791 kW) together with the fixed radiator and revised exhausts as tested on the MS.411, in October 1940. The new type retained the armament changes and other improvements introduced on the D-3800. This series was put into production in 1941 as the D-3801 with continued deliveries until 1945 with 207 completed. Another 17 were built from spares between 1947 and 1948. Reliabity of the new engine was at first extremely poor, with problems with crankshaft bearings causing several accidents. The engine problems slowed deliveries, with only 16 aircraft produced in 1942 and a single aircraft delivered in 1943. The engine problems were eventually resolved in 1944. With 1,060 hp from the HS-51 12Y, the speed was boosted to 535 km/h (332 mph), roughly equivalent to the D.520 or the Hurricane. Weights were between 2,124-2,725 kg. After being retired from operational use as a fighter when the North American P-51 Mustang was acquired in 1948, the type remained in service as a trainer and target tug until 1959. The D-3802 was based on MS.540, with a total new engine, the Sauer YS-2 (1,250 cv). The prototype flew in the fall 1944. This aicraft had several shortcomings, but it was capable of 630 km/h. 12 were produced and knew a limited use by Fliegerstaffel 17 and some other units. The last development of this aircraft was the D.3803, with Sauer YS-3 (1,500 hp), and modified dorsal fuselage (with an all-round visibility canopy). The D.3803 was armed with three HS-404 20 mm gun (one in the nose, two in the wings), plus up to 200 kg bombs and rockets. Despite not having a powerful engine, the type reached 680 km/h at 7,000 m. The performance were impressive, but the last development of this 1935 fighter design had several shortcomings and was not entirely successful. Its development was halted as P-51D Mustangs became available. By 1943 Finland had received their original 30 aircraft, as well as an additional 46 M.S.406s and 11 M.S.410s purchased from the Germans. By this point, the fighters were hopelessly outdated, but the Finns were so desperate for serviceable aircraft that they decided to start a modification program to bring all of their examples to a new standard. The aircraft designer Aarne Lakomaa turned the obsolete "M-S" into a first rate fighter, the Mx�rkx�-Morane (Finnish for Bogey or Ogre Morane), sometimes referred to as the "LaGG-Morane". Powered by captured Klimov M-105P engines (a licensed version of the HS 12Y) of 1,100 hp (820 kW) with a fully-adjustable propeller, the airframe required some local strengthening and also gained a new and more aerodynamic engine cowling. These changes boosted the speed to 326 mph (525 km/h). Other changes included a new oil cooler taken from the Bf 109, the use of four belt-fed guns like the M.S.410, and the excellent 20mm MG 151/20 cannon in the engine mounting. However, supplies of the MG 151 were limited, and several received captured 12.7mm Berezin UBS guns instead. The first example of the modified fighter, MS-631, made its first flight on 25 January 1943, and the results were startling: the aircraft was 40 km/h (25 mph) faster than the original French version, and the service ceiling was increased from 10,000 to 12,000 m (32,800 to 39,360 ft). Originally it was planned to convert all the 41 remaining M.S.406s and M.S.410s with the Soviet engine, but it took time, and the first front-line aircraft of this type did not reach LeLv 28 until July/August 1944. By the end of the Continuation War in 1944, only three examples had been converted (including the original prototype). Lieutenant Lars Hattinen (an ace with six victories) scored three kills with the Mx�rkx�-Morane. More fighters arrived from the factory, though, and the Mx�rkx�-Moranes took part in the Lapland War as reconnaissance and ground attack aircraft. Not all the Mx�rkx�-Morane conversions were completed before March 1945, when the entire re-engining programme was halted. After the end of the war, the total was brought to 41, which served as advanced trainers with TLeLv 14 until September 1948. In 1952 all remaining Finnish Moranes were scrapped. In late 1930s a war with Germany was clearly looming, and the Arm�e de l'Air placed an order for 1,000 airframes in March 1938. Morane-Saulnier was unable to produce anywhere near this number at their own factory, so a second line was set up at the nationalized factories of SNCAO at St. Nazaire converted to produce the type. Production began in late 1938, and the first production example flew on 29 January 1939. Deliveries were hampered more by the slow deliveries of the engines than by lack of airframes. By April 1939, the production lines were delivering six aircraft a day, and when the war opened on 3 September 1939, production was at 11 a day with 535 in service. Production of the M.S.406 ended in March 1940, after the original order for 1,000 had been delivered to the Arm�e de l'Air, and a further 77 for foreign users (30 for Finland and 45 for Turkey). Additional orders for Lithuania and Poland were canceled with the outbreak of the war. The MS 406 equipped 16 Groupes de Chasse and three Escadrilles in France and overseas, and 12 of the Groupes saw action against the Luftwaffe. The aircraft was very manoeuvrable and could withstand heavy battle damage, but was outclassed by the Bf 109 and losses were heavy (150 aircraft lost in action and 250-300 lost through other causes). After the armistice, only one Vichy unit, GC. 1/7, was equipped with the MS. 406. Germany took possession of a large number of M.S.406s and the later M.S.410s. The Luftwaffe used a number for training, and sold off others. Finland purchased additional M.S.406s (as well as a few 406/410 hybrids) from the Germans, while others were passed off to Italy and Croatia. Those still in French hands saw action in Syria against the RAF, and on Madagascar against the Fleet Air Arm. Both Switzerland and Turkey also operated the type; the Swiss actually managing to down a number of both German and Allied aircraft, 1944-1945. During the Pacific campaign, Vichy authorities in French Indochina were engaged in frontier fighting against Thai forces from 1940-1943. A number of M.S.406s stationed in Indochina downed Thai fighters before the French Air Force's eventual abandoning of the theatre in March 1943. Some examples of the M.S.406 were captured by the Thai Air Force. The M.S.406 had a parallel career in Finland, during the Winter War and, in modified form, during the later Continuation War. Total Finnish kills amounted to 121. The top Morane ace in all theatres was W/O Urho Lehtovaara, with 15 of his 44.5 total kills achieved in Moranes. The Finnish nicknames were Murjaani (blackmoor), a twist on its name, and Mx�timaha (roe-belly) and Riippuvatsa (hanging belly) for its bulged ventral fuselage. 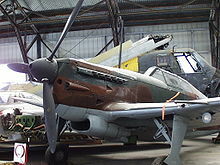 Bulgarian Air Force received 20 aircraft in 1942. Zrakoplovstvo Nezavisne Države Hrvatske received over 15 aircraft. Lithuanian Air Force ordered 13 Moranes, but none were delivered. Polish Air Force ordered 160 aircraft, but none were delivered, due to the fall of Poland. Turkish Air Force received 45 Moranes. At least 30 of them were originally intended for shipment to Poland and had Polish stencilling. Royal Thai Air Force operated several captured aircraft. Belcarz, Bartłomiej. Morane MS 406C1, Caudron Cyclone CR 714C1, Bloch MB 151/152 (Polskie Skrzydła 2) (in Polish), Sandomierz, Poland: Stratus, 2004. ISBN 83-89450-21-6. About the use of the MS.406 by Polish Pilots of the Arm�e de l'Air. Botquin, Gaston. M.S.406 (Monografie Lotnicze No. 28) (in Polish). Gdańsk, Poland: AJ-Press, 1996. ISBN 83-86208-46-5. Botquin, Gaston. The Morane Saulnier 406. Leatherhead, Surrey, UK: Profile Publications Ltd., 1967. No ISBN. Breffort, Dominique and Andr� Jouineau. French Aircraft from 1939 to 1942, Vol.2: from Dewoitine to Potez. Paris, France: Histoire & Collections, 2005. ISBN 2-915239-49-5. Brindley, John. F. French Fighters of World War Two. Windsor, UK: Hylton Lacy Publishers Ltd., 1971. ISBN 1-85064-015-6. Comas, Mathieu et al. Additif & correctif x� l'ouvrage Le Morane-Saulnier MS 406 (in French). Boulogne-sur-Mer, France: Lela Presse, 2002. Green, William. 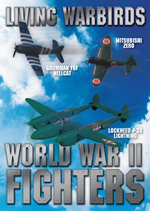 War Planes of the Second World War, Volume One: Fighters. London: Macdonald & Co.(Publishers) Ltd., 1960 (tenth impression 1972). ISBN 0-356-01445-2. Green, William and Gordon Swanborough. The Complete Book of Fighters. New York, Smithmark, 1994. ISBN 0-8317-3939-8. Gunti, Peter. "Neutral Warriors: The Morane Saulnier MS.406 in Swiss Service". Air Enthusiast. Forty-three, 1991. pp. 10-17. ISSN 0143-5450. Gunti, Peter. "Alpine Avenger". 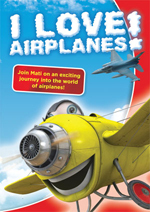 Air Enthusiast.Forty-seven, September to November 1992, pp. 22-27. ISSN 0143-5450. Keskinen, Kalevi, Kari Stenman and Klaus Niska. Hx�vittx�jx�-x�ssx�t (Finnish Fighter Aces) (in Finnish). Espoo, Finland: Tietoteos, 1978. ISBN 951-9035-37-0. Keskinen, Kalevi, Kari Stenman and Klaus Niska. 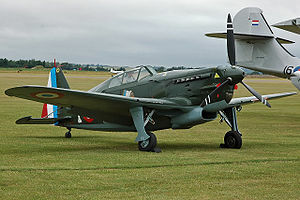 Morane-Saulnier M.S. 406/Caudron C.714, Suomen Ilmavoimien Historia 4 (in Finnish). Helsinki, Finland: Tietoteos, 1975. ISBN 951-9035-19-2. Jackson, Robert. 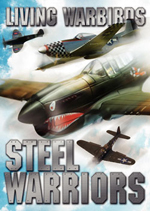 Aircraft of World War II: Development - Weaponry - Specifications. Enderby, Leicester, UK, Amber Books, 2003. ISBN 1-85605-751-8. Marchand, Patrick and Junko Takamori. Morane-Saulnier MS 406, Les Ailes de Gloire No.7 (in French). Le Muy, France: Editions d'Along, 2002. ISBN 2-914403-14-3. 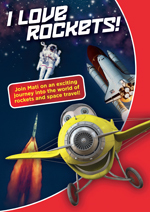 (second edition -No.7r- ISBN 2-914403-23-2). Neulen, Hans Werner. In the Skies of Europe" Air forces Allied to the Luftwaffe 1939-1945. Ramsbury, Marlborough, UK: The Crowood Press, 2000. ISBN 1-86126-799-1. Pelletier, Alain. French Fighters of World War II. Carrollton, TX: Squadron/Signal Publications, Inc., 2002. ISBN 0-89747-440-6. Ries, Karl. Deutsche Luftwaffe x�ber der Schweiz 1939-1945 (German Luftwaffe over Switzerland 1939-1945) (in German). Mainz, Germany: Verlag Dieter Hoffmann, 1978. ISBN 3-87341-022-2. Stenman, Kari and Kalevi Keskinen. Finnish Aces of World War 2 (Aircraft of the Aces 23). Oxford, UK: Osprey Publishing, 1998. ISBN 1-85532-783-X. Morane-Saulnier M.S.406 Pictures and Morane-Saulnier M.S.406 for Sale.